umbar pain is one of the main causes of absenteeism at work and a reason for widespread medical consultation. The term “low back pain” refers to the lumbar area, between the base of the thoracic cage and the pelvis. This region comprises five vertebrae superimposed on each other with an intervertebral disc and two articular facets. 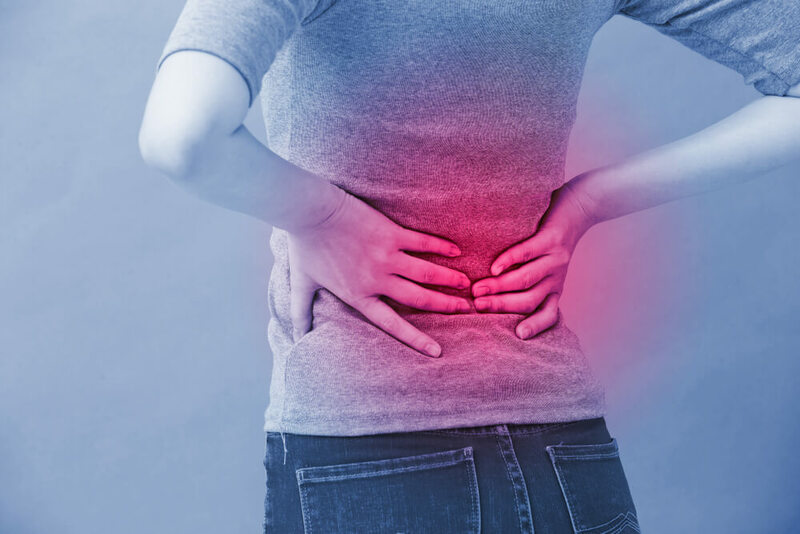 Intervertebral discs are absorbent cushions that spreads the forces received from the weight, while the articular facets are small joints on either side of the vertebrae. The superposition of the vertebrae forms a curvature towards the abdomen: the lumbar lordosis. Several ligaments and muscle groups then unite these structures together to form a solid and mobile whole. The causes of low back pain are various and this type of problem can reach all types of individuals, from the great sportsman to the more sedentary person. Here are some causes of this widespread discomfort. 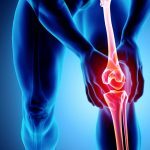 Osteoarthritis is defined as a wear and tear of the articular cartilage (strong and resistant structure covering the tip of the bones) and the bone it covers. Joint wear can be a precipitating factor in low back pain since the movement cannot be performed adequately due to joint stiffness and inflammation. This can cause pain. The hernia is an impairment of the intervertebral disc which can be described in stages according to the severity of the protusion (nucleus thrust). Indeed, the disc consists of concentric rings forming a kind of tight woven donut surrounding a gelatinous nucleus. Initially, a weakness of the concentric rings will allow, through a breach, the gradual advance of the gelatinous nucleus within these rings. This initial stage is often asymptomatic and accidentally discovered (randomly during routine examination). The following stages are documented according to the progression of the gelatinous nucleus inside the rings. The pain created comes from the various structures affected: the disc itself, the surrounding soft tissues (capsule, ligaments,…) and the nerve roots (nerves emerging from the spinal cord). This term means shrinkage. There are two types: central and foraminal. The central stenosis implies a narrowing of the spinal canal which is the canal containing the spinal cord. Foraminal stenosis is the narrowing of the openings created by the superposition of the vertebrae (the foramina) and allowing the nerve roots of the spinal cord to emerge. The foramina are identical on the right and left of the vertebral bodies. These shrinkage cause pain according to their severity and the structures touched. For all the situations described above, there are orientations of physiotherapy treatments aimed at reducing pain, regaining movement, strength and muscle flexibility. Indeed, the teaching of optimal postures to be adopted, a work of strengthening stabilizing muscles and analgesic measures can help to control and/or stop the symptoms related to low back pain. In addition, the treatment approach used by the physiotherapist will not be the same depending on whether the lumbar pain is acute (recent), subacute (< 3 months) or chronic (> 3 to 6 months). Don’t hesitate to contact your physiotherapist to better understand your low back pain and to get help.